Well, darn, at first glance, I thought this topic would be difficult. My “Bucket List”? I didn’t have one. I didn’t have one until I had to write this post. It was easier than I thought. I cheated, too, by looking at websites listing bucket list ideas. It shocked me to find I had done many things on their lists, but only minor things like visit Niagara Falls or climb a lighthouse. Then I took some time to brainstorm and give some thought to things I’d like to do before I’m no longer able to do them. We can only list five, but I came up with many more, which surprised me. Have you watched the movie, Bucket List? I haven’t, but now maybe I will. 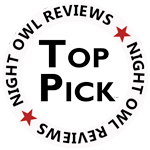 After eliminating things like escaping to other countries—Italy, Greece, and Scotland, or to hit a best-seller list on USA Today or a comparable list, I’ll list my five. Remember, this is only five things on my list. These five and the other things on my list may not be exciting to the average person, but for now they work for me. 2. Visit all 50 states. I’ve been to eighteen. To remain positive, I’ll say eighteen down, only thirty-two to go. Well, that’s my list. I can’t wait to get started. How about you? Have you ever made a Bucket List? This is a blog hop. 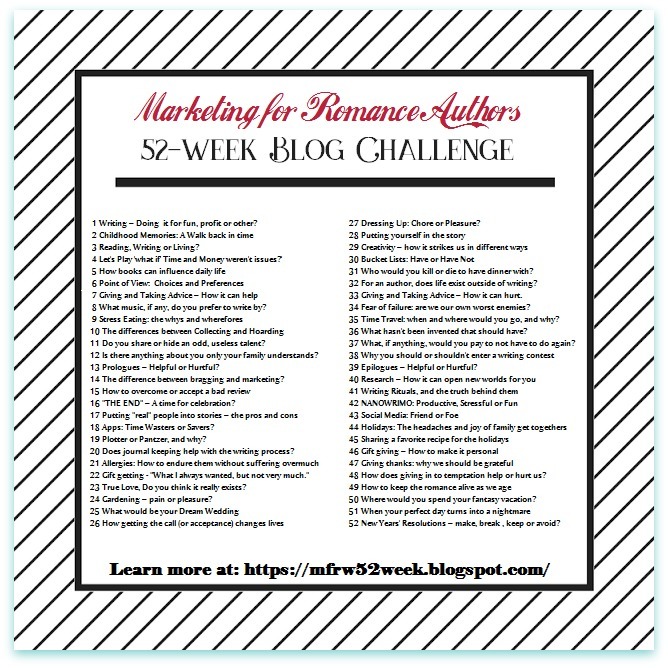 Let’s visit the other participants in the 52-Week Blog Challenge. Some of the authors have participated EACH week. I’m sad to say I’m not one of them. Horseback riding in general is something I could put on my list. My daughter used to take lessons, but I’ve never been on one. Fabulous list, I loved the pictures too. Oh, good, Teagan. That means I can spend a lot of time at each place. Staying long enough to write a book would be a dream come true. Thanks for visiting. I’ve never done anything on your list- but they sound awesome! Love your ideas! I saw the Northern Lights once as a small child and they were so spooky, I wouldn’t look after the first glance, lol. As for Arches – no problem, no training needed… I hope you get to do everything on your list! Robin, I can imagine the lights looking spooky to a child and hard to be explained so they’d understand. Oh, good to hear about Arches! That’s encouraging. The Wave is another thing. I’d be afraid of getting lost, but they recommend orienteering skills. I’ve done orienteering before, but it helps to have an expert. After visited the other posts in the challenge I think there will be a crowd for the lights. I’ve ridden horseback in field and woods but never the beach. Sounds like fun but I’m not too sure about bridleless. Of course, if the horse is from a stable, they know the route out and back to the barn by heart. The horse in the beach video looked well-trained and they had a bond. I chose that one for the freedom it evoked. It does look like fun. 🙂 A crowd of writers visiting the Northern Lights would be a blast! Thanks for reading, Helen. You mentioned in one of your blog posts that your brother lived in Utah, Diana, but I didn’t know it was Moab. On my son’s first trip to Northern CA, he went out of his way to see Arches. I’ve been hooked since. If you didn’t, you should look at the link I included for Craig’s Stay Adventurous website. He has some cool pictures of the Northern Lights and you can hear the excitement in his words. One day! We visit Arizona a lot, and I’ve never heard of the Wave. I have to check it out! I live in Arizona and I’ve never heard of it! Check this out, Alina and Ed. I guess they only give out twenty passes a day, and they are not easy to get. Then some are lucky, and get a ticket during their daily lottery. I found that out by watching the videos on You Tube. Coming from northern Canada I can tell your the northern lights are a sight to behold. And if you’re lucky and in a nice quiet spot, they sing! Great list, The Wave in Arizona looks amazing! Jacquie, you’re so lucky. I’ve heard they sing or make a sound. How cool! Nature can be so beautiful. Thanks for commenting.